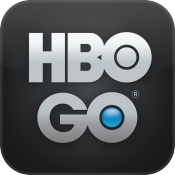 HBO today updated its HBO GO app for iOS devices and the Apple TV with support for Single sign-on, allowing subscribers to access HBO content more quickly. With Single sign-on, HBO customers will no longer need to enter their cable credentials separately when logging in to the HBO GO app. Instead, the app will use universal credentials that are stored by Apple. HBO GO is also now available in the TV app, with full support for "Watch Next" tracking functionality. Single sign-on, introduced in December, is one of the first steps Apple has made towards streamlining the television watching experience on the Apple TV and iOS devices. It's designed to allow all cable subscribers to sign in once with their cable credentials to gain access to all cable-restricted content available within apps. Single sign-on is limited to the United States and requires both service providers and app developers to implement support for the feature. Along with HBO, more than 20 popular television apps support the Single sign-on, with a full list available via a Single sign-on support document. Not all cable providers are offering support for Single sign-on yet, so the feature is limited to Cable ONE, CenturyLink Prism, DIRECTV, Dish, GVTC, GTA, Hawaiian Telcom, Hotwire, MetroCast, Service Electric, and Sling TV. While this is nice for Americans, using AppleTv with other providers around the world is still very much useless. Don't feel bad, the biggest ISPs in the US are not enrolled in that program (i.e. Comcast). It's useless for majority of US customers too. Directv Now needs to get on board with technology. Until it supports DIRECTV Now, I can't use single sign-on for HBO GO. C'mon, Apple and AT&T, make it happen! We still have a standard DIRECTV account for now, but we don't pay for HBO on that account; nor am I willing to pay $15.00/month or whatever extortionist pricing they're charging for HBO on a standard DIRECTV account these days. $5.00/month on DIRECTV Now is a lot more palatable. Thankfully, AT&T finally seems to be working out the bugs with DIRECTV Now. I haven't seen a QP1501 or QP1502 error for a week or more. It's looking more and more like we'll keep the service. I'm sure once they add DVR capability, it will be a $10 or $15 per month add-on for people who got the special introductory pricing. Even with an extra charge for DVR, it will almost certainly be far less expensive than the $90/month we pay for standard DIRECTV service currently. Plus, DIRECTV Now has more channels I want to watch and less garbage I couldn't care less about compared to our standard DIRECTV service. Gee. Before the single sign on, I had to individually sign on to every app. Guess what, I survived. I'm sorry to hear that it is such a difficult task that you would rather not use Apple TV then go through that horrific burden of signing on. You misunderstood me, there are no TV apps from any local providers here in the Netherlands yet they have on Android/on a PC and other hardware. It's got nothing to do with single sign on, I don't even have a TV App. Single sign on doesn't stop the collection of data. Not quite sure why you'd think it would. If Comcast allowed SSO, they would still know when you used the apps that utilize their service since they're still the conduit for the content. They also don't lose control over their customers because of SSO. SSO is a convenience feature, that's all. It doesn't hurt Comcast or any other provider. Most likely, they just don't care enough about the ATV to make the effort. No sense in ascribing malice when plain ole apathy is the most likely answer. They, like everyone, have priorities. The ATV is probably not high on their list, or anyone's list for that matter. Including Apple's. There's a lot for you to read up on to understand why cable companies and companies streaming content, e.g., Amazon and Netflix, etc., have a lot to fear from Apple TV being successful and used by their customers. To begin with, it's not just about SSO, it's even more about compatibility with the Apple TV App, where they are trying to stop Apple's vision of a single place to access all of your content, so some companies absolutely fear the success of both the App and Apple TV in general. Comcast is desperately trying to be the hub and anything that encourages folks to route through a central service like Apple TV is a threat to their model. But there's also the control of information which you are not understanding. I've attached a link to an article that explains why Netflix is very worried about letting Apple get the information about viewer habits, etc. It's very simple for them to allow compatibility with ATV SSO and the App, and it's far from "apathy" over the issue, indeed it is the opposite as they have deep concern. Here's from Business Insider. "But a Comcast app on the Apple TV could theoretically allow Comcast cable subscribers to watch live and on-demand TV on TVs in their house that don't have set top boxes connected to them, which could save them from having to rent a cable box each month." "The logical answer would be that Netflix thinks helping Apple TV build a smart TV guide — one that knows what you watch and can guess what you might like to watch — could weaken Netflix’s position. That’s because Netflix has spent a lot of time learning what you watch and learning how to guess what you might like to watch. If that special sauce becomes less special — if someone else has that information — then Netflix runs the risk of becoming an undifferentiated catalog of TV shows (and a few movies)." Makes me feel less sad, I thought most if not all TV providers had an App on the ATV in the US. Odd there are so few of them supporting AppleTV while they have Apps on other platforms, makes me wonder why. Maybe it's still rolling out. I was watching Eastbound & Down on HBO Go app and was asked mid-episode.